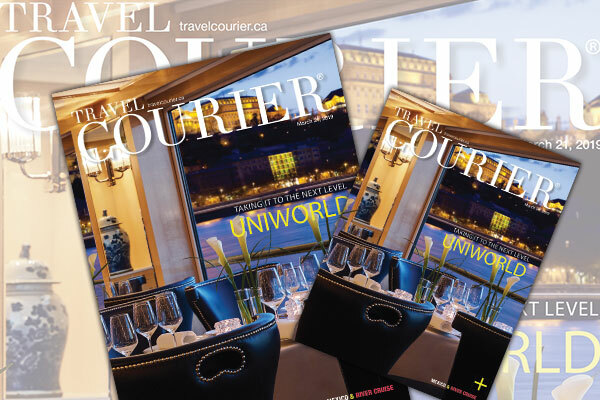 With five new Super Ships coming online between now and 2020, as well as exotic destinations to go with them, Uniworld Boutique River Cruises is once again raising the bar in the luxury river cruise category, reports assistant editor Greg Coates in the Cover Story in this week’s digital edition of Travel Courier. The new ships are in line with the line’s commitment to transform its entire fleet to Super Ships in the coming years. The new floating boutique hotels will feature the signature touches and distinctive themes the company’s ships are known for – more suites, more dining venues and more luxurious finishes, while maintaining their high crew-to-guest ratio. “We have been in a consistent and relentless pursuit of excellence,” says Bettridge. “But expansion for expansion’s sake has never been our business model. We are fortunate to operate under the guidance and vision of the Tollman family – a family synonymous with hospitality and innovation. We do not answer to a board of directors or investors, but instead, boldly commit to the projects that will continuously elevate Uniworld to the leading position within the river cruise industry.